Born and bred in North Clare, in the Burren region. He lives on a farm with his wife Eva, near an Iron Age Ring Fort outside Kilfenora. Working as a part time beef and free range pork farmer, he has a keen interest in sustainable farming, rural development and eco tourism. 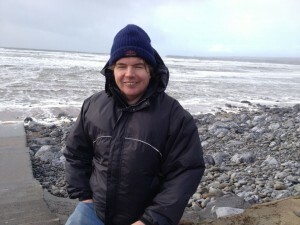 He is an Approved Local Guide working in the Burren with Certificates in Marine and Countryside Guiding, Rural Tourism and First Aid. With 20 years experience of introducing visitors to the region, he has amassed a concise and comprehensive understanding of the allure of the Burren. Among his many interests, History, Archaeology, Traditional Irish Music, Set Dancing and Folklore are on his top five. He regularly volunteers with local development groups. His academic background is: A degree in Economics and Politics from University College Galway, a degree in European Integration from the University of Limerick and Diploma in Community Development Practice and Social Enterprise from UCC Cork.